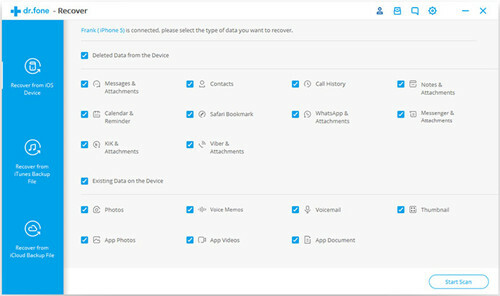 In any event, leading to data loss, Joyoshare iPhone Data Recovery, an full-featured iOS data retrieval program, is sufficient enough to satisfy your needs by fulfilling 3 smart recovery modes: recover from iDevice, iTunes and iCloud backup. Aside from calendars, it can support more 20 kinds of data files, such as notes, photos, WhatsApp/Kik/Viber messages, voicemails, reminders, call history, Safari bookmarks, videos, voice memos, etc. It can ideally perform as it promises, helping you find deleted or lost calendars, preview items in real time and selectively recover given data. You might be shocked at its remarkable success rate, high security guarantee and full iOS compatibility. Gihosoft iPhone Data Recovery Free is yet another iPhone calendar recovery freeware. The mechanisms of data recovery in Gihosoft iPhone Data Recovery is basically the same as that of Joyoshare iPhone Data Recovery Smart recovery software. It can be connected directly to the iPhone or have data recovered from iTunes and iCloud backup. Its algorithms allow this software to recover your lost calendar event and other 12 different files. Once you download and purchase this software, you will be good to go. Its user interface is relatively simple. You won't need prior training to use this software. You don't even need to have used it before. The recovery guidelines coming with this software will take you by hand and lead you through the process. Cisdem iPhone Data Recovery for Mac is also straightforward iPhone calendar recovery software. This is how it makes it possible: once the files in the system are deleted, they are still available until other files are incorporated there. So Cisdem uses this theory to lay down its algorithms to have all your calendar events recovered from your iPhone. 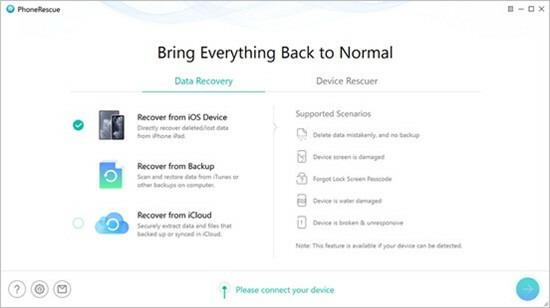 It doesn't mean that you will blindly recover data, there is a possibility of you needing back only selected item. 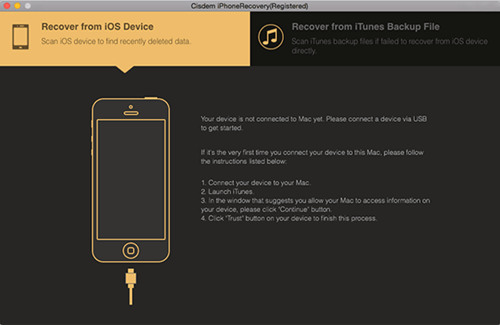 Cisdem iPhone Data Recovery for Mac has a feature that allows you to preview and choose to recover only desired files. It is uniquely versatile in data recovery. Should there be a jailbreak, damaged screen, forgotten password or system crash in your iPhone, it works without hassle. Another reliable iPhone calendar recovery program is Dr.Fone. Its operation is particularly stress-free, offering a seamless data recovery for all your iPhone recovery needs. 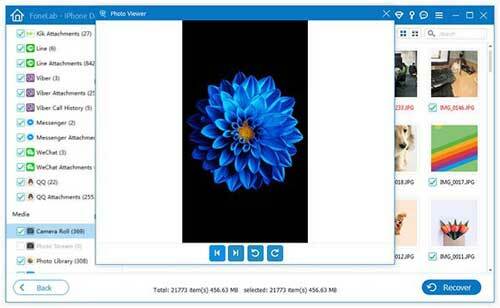 It allows recovery of 18 different file formats. Even since this software got into the computing industry, it has never failed. It is worth giving this software a chance the next time you will run into a data loss. A list of best iPhone calendar recovery software just can't be full without featuring one Aiseesoft FoneLab. This software is fast and easy to use. It is also affordable and hence should be one of your sought-after tool. Should your phone get lost or should you find yourself in the rare event of a system crash. You don't have to worry at all. The algorithms of Aiseesoft FoneLab will recovery of calendar events and 18 other file format in just a couple of minutes. iMobie PhoneRescue is as well a dependable iPhone calendar program. 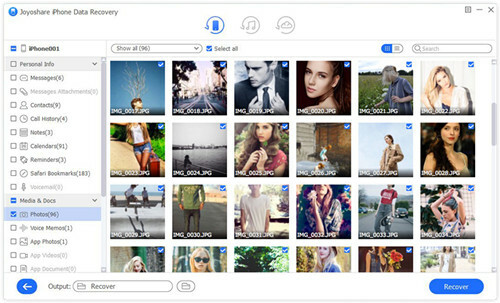 Its advance features allows you to recover 22 different files format in your iPhone, inclusive of the calendar events. 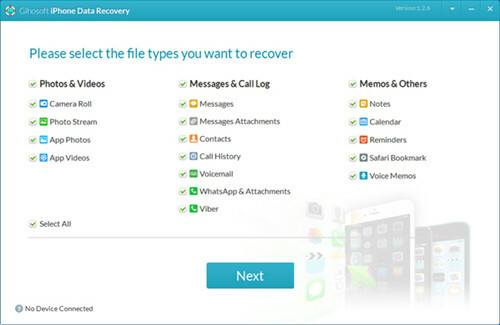 The process of recovery can be executed in three ways, either from iOS device simply or from iTunes & iCloud backup. One special feature with this software is its ability to locate, read and recover files saved in HTML format. And as its name suggest, it will literally rescue you in that panic state. 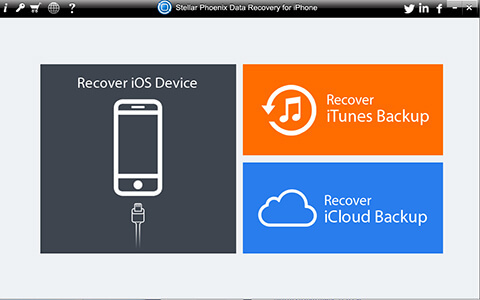 Stellar Phoenix Data Recovery for iPhone is a one-stop shop for all your data loss recoveries. It has been designed purposefully to recover data directly from the iPhone, iCloud or iTunes. The process of recovery is entirely easy. You will not miss any important appointments and reminders in your calendar as this software is there for you. The only setback with the Stellar Phoenix Data Recovery for iPhone is the rather slow process. It is however worth waiting since in the long run you will have back all the data files you needed. You may already have decided what you want once get here. To be honest, think about your requirements firstly if you are irresolute. For example, Gihosoft iPhone Data Recovery Free charges nothings but works efficiently while Joyoshare iPhone Data Recovery operates easily but functions comprehensively. Likewise, other iPhone calendar recovery tools are developed with charming points that need to be found by yourself.